Range on Offer: Available is a range of mounted canvas and matted prints. 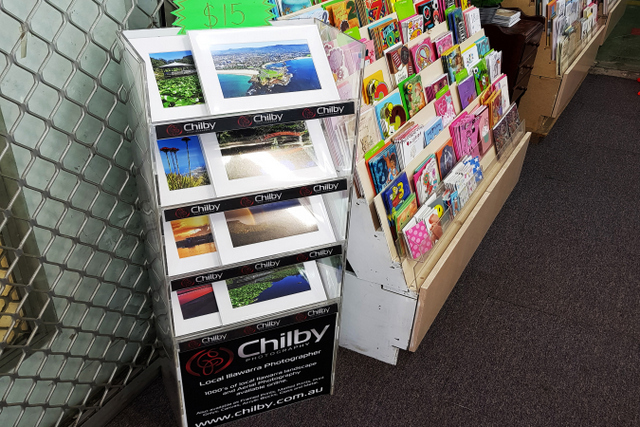 Range on Offer: Various photos of Wollongong are available as matted prints and canvases in multiple sizes along with a range of Illawarra postcards. 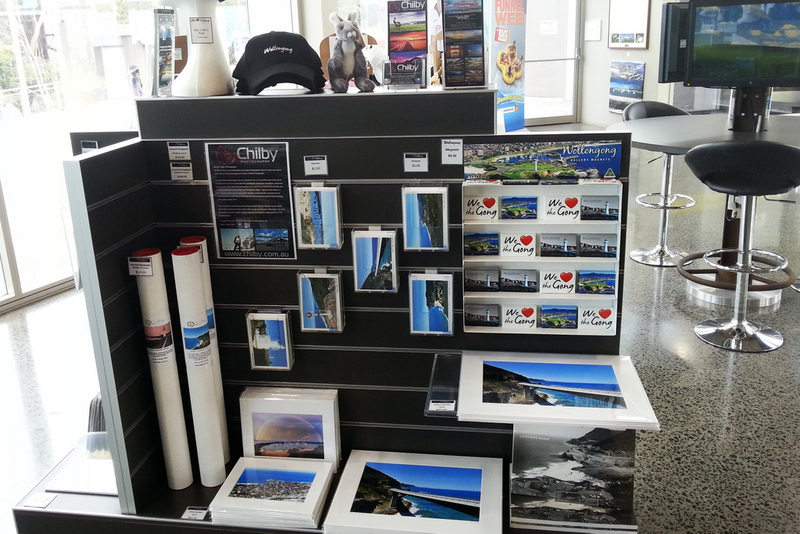 Range on offer: Various Sapphire Coast photos are on display and available for purchase here. The range includes matted prints and framed prints in various sizes. Bermagui Calendars are also available. 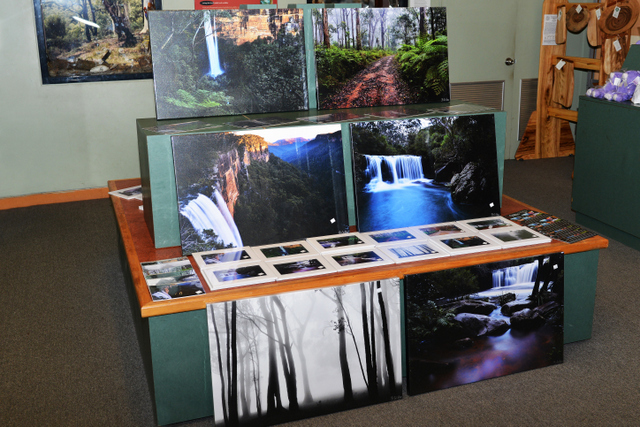 Range on Offer: 20x30 Inch Canvases, Matted Prints of local photos from Fitzroy Falls and the Southern Highlands. Southern Highlands Coasters, Puzzles and Coffee Mugs. 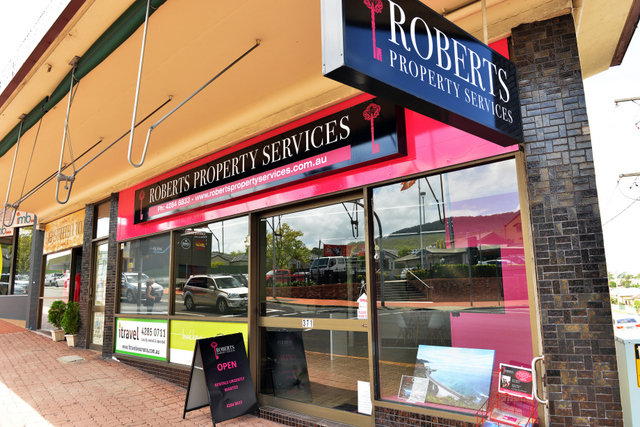 Open: 7 days a week - 9.00am to 5.30pm. Closed Christmas Day, Good Friday and Easter Sunday. 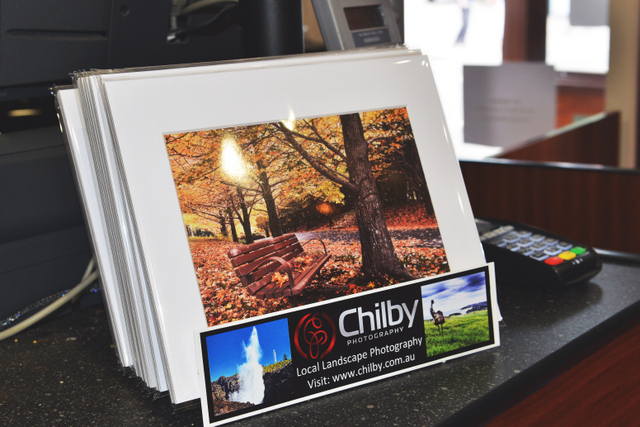 Range on Offer: Matted Prints of local photos from Wollongong through to Helensburgh. 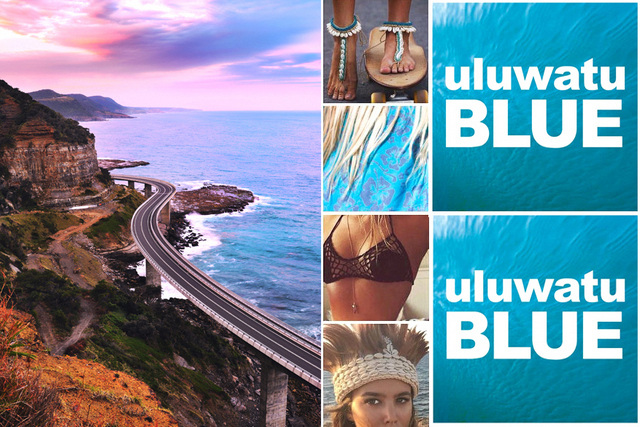 8 different Illawarra Postcards are available and Illawarra calendars. 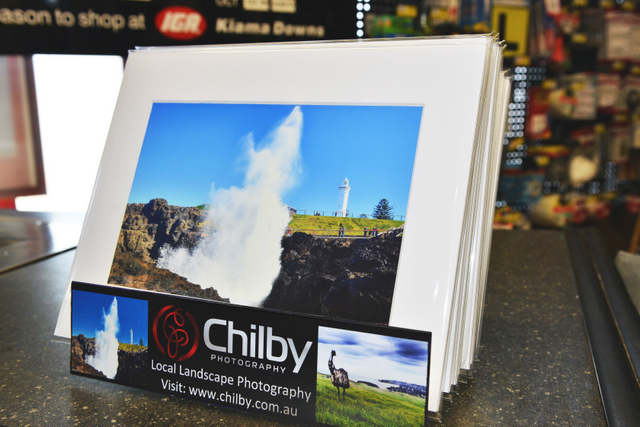 Range on Offer: Matted Prints of local photos from the Kiama and Jamberoo in the Illawarra area of New South Wales. 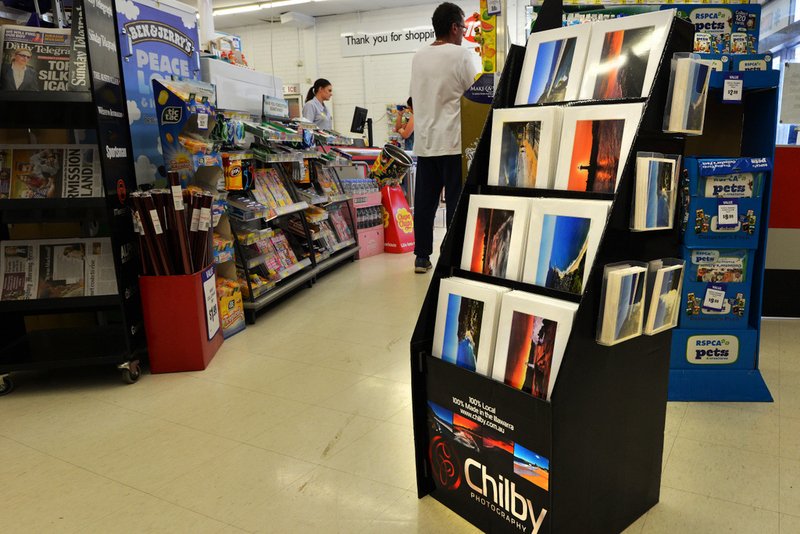 Range on Offer: Matted Prints of local photos from the Jamberoo and Kiama in the Illawarra area of New South Wales. 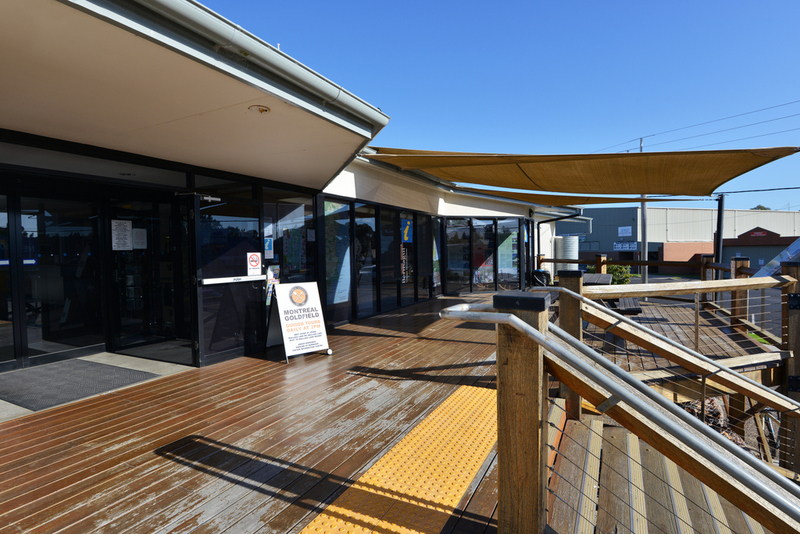 Website: Jamberoo IGA Facebook Page. 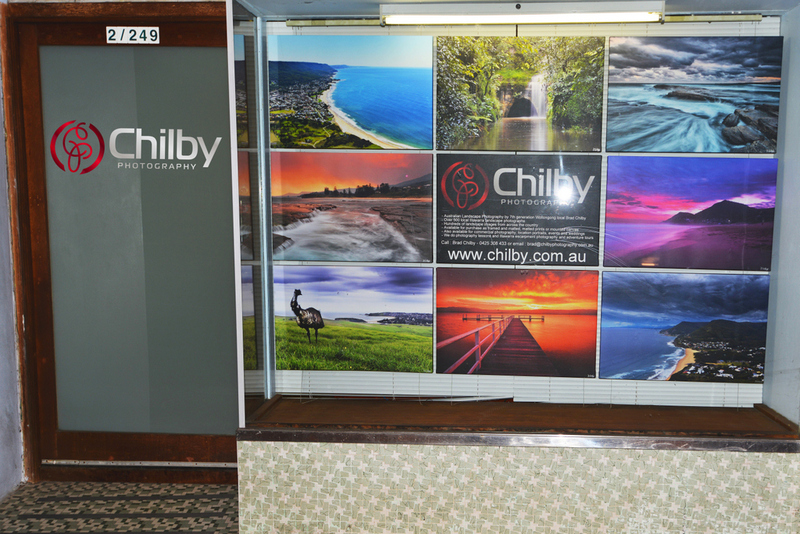 Range on Offer: A number of medium and large size canvases are available of the local Woonona area and Northern Suburbs of Wollongong. 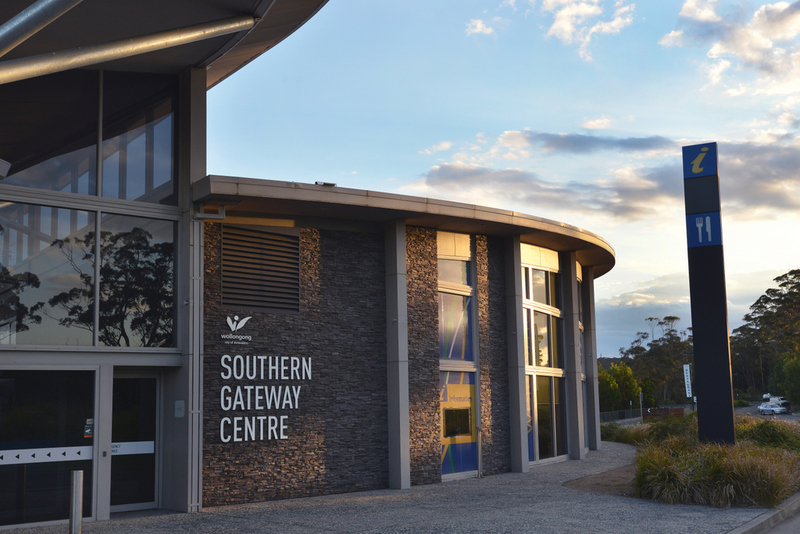 Range on Offer: 3 medium size canvas of the local Stanwell Park area are available. Stanwell Park Postcards, Stanwell Park T-shirts and Illawarra Calendars.